Please enter on 8th Ave off of HWY 48/63. 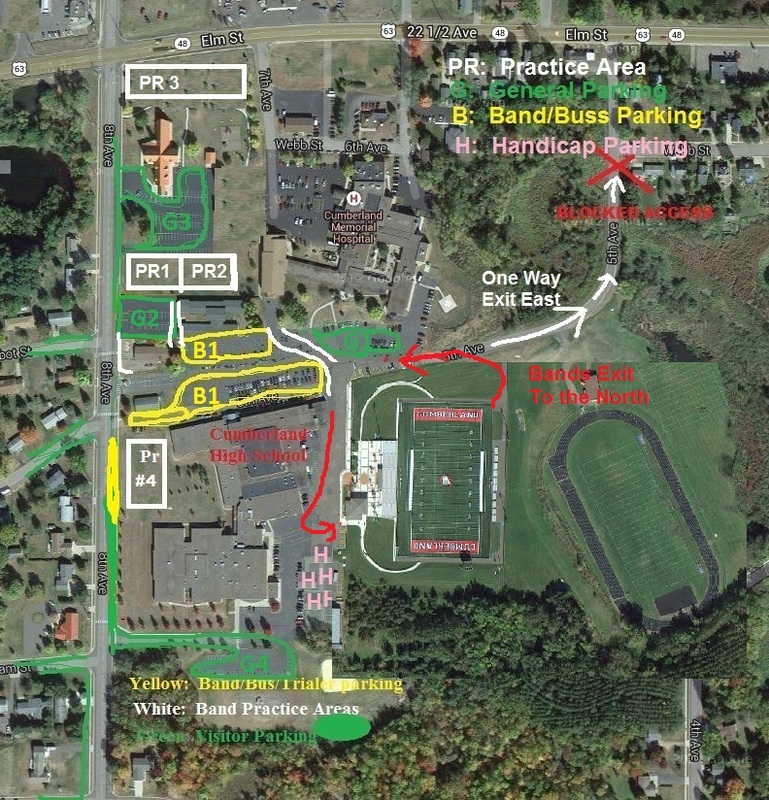 All Bands will enter at the High School Parking lot. You will be meet by a parking attendant who will guide you to your assigned parking area. 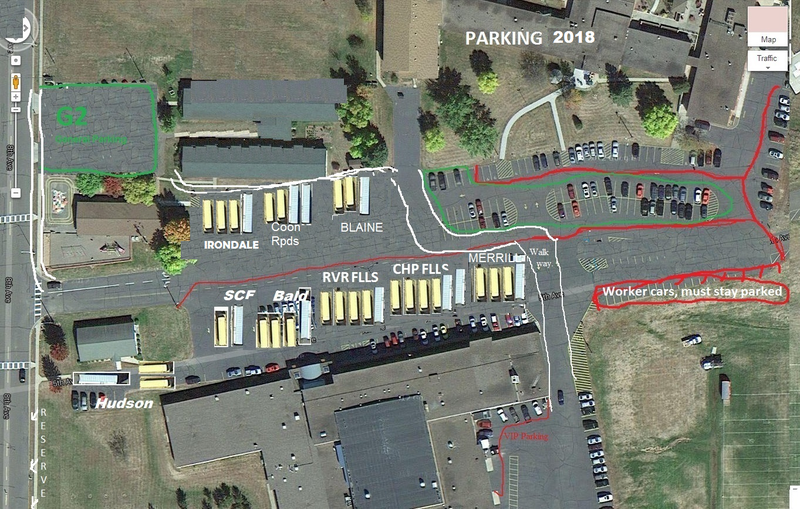 Note your specific parking might be slightly different than listed on the map, but it will be in the High School parking lot. Note because we also have bands parked in the high school lot, would appreciate only visitors who plan on staying for the whole show to be parked in the HS lot, this will help reduce car / band member traffic. Please do NOT park in the Cumberland Memorial Hospital lot.